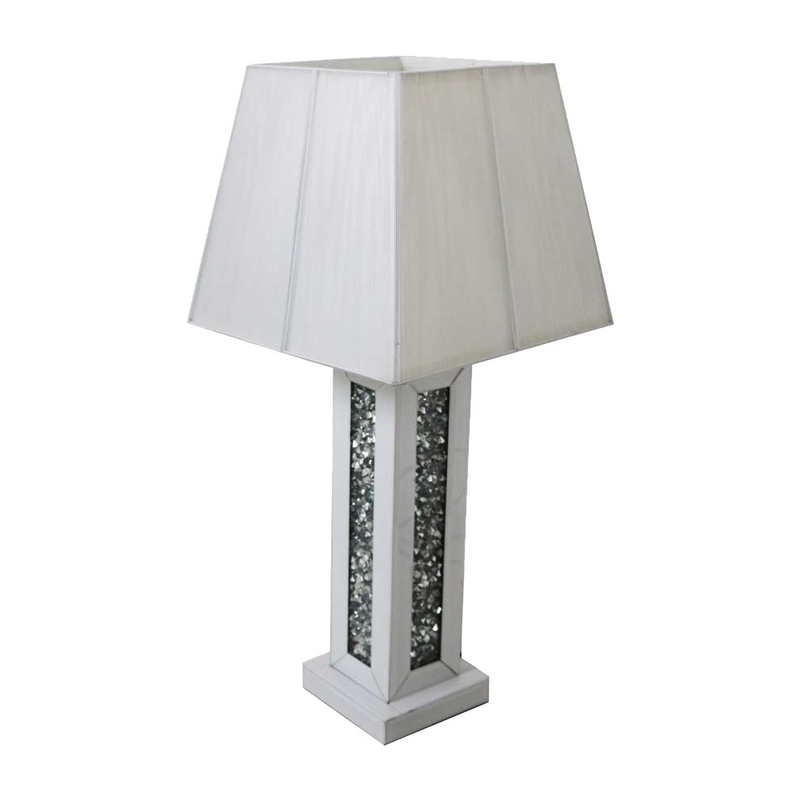 This is a beautiful cream Gatsby mirrored table lamp. The Lamp is an added luxury to your home, it is a truly stunning piece that will help bring your space more of a modern feel. The lamp body is decorated with shining diamond like crystals, which really brings this lamp to life. It is one of the newest additions to the Gatsby collection.